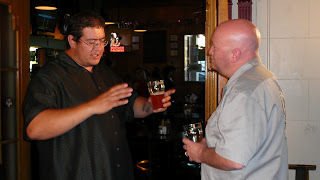 Yes, yours truly hauled out the trusty Panasonic 200A to capture the festive activities as reps from Stone Brewery, Escondido, CA, came to participate in one of TAPS signature events: Meet the Brewers night. The video is not edited yet but here's a few production stills to give you a flavor of the evening. Needless to say (although I will), a good time was had by all and the Sublimely Self-Righteous Black IPA met all my expectations, once again. Also stopping by for some Stone enjoyment and picture taking was this guy, Mario Rubio, who really seemed to know a lot about beer (joke! Find him at BrewedForThought.com). 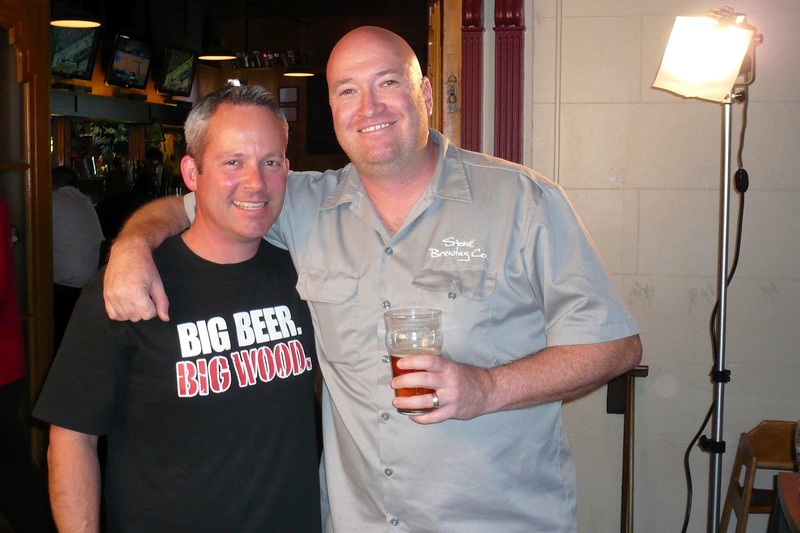 Dave Hopwood from Stone Brewery explains his ideal job. Note: The Pizza Port Brewing t-shirt is to convey my impartiality. 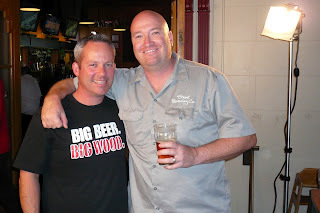 TAPS owner Eric Lafranchi, showing Big Wood, and Stone Brewing Rep. Dave Hopwood, visual aid in hand, express the camaraderie that exists among craft brewing enthusiasts and drinkers, me included! 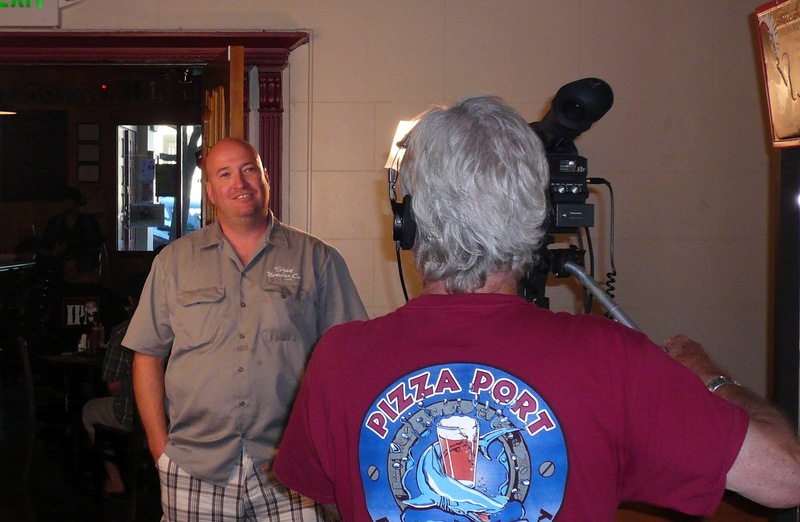 What's this, another beer blogger crashing my video interview session? Well, actually, no.... this is Mario Rubio, from BrewedForThought.com, demonstrating the ideal beer glass size and Dave seems very interested.